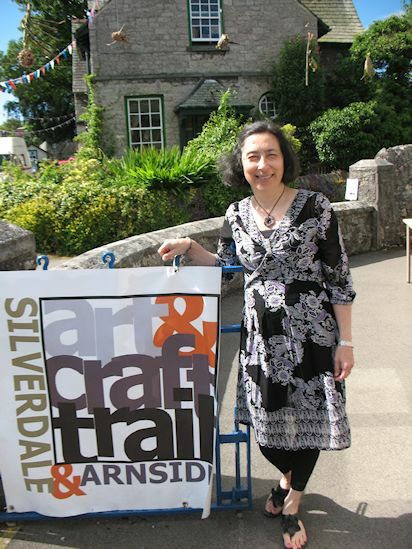 I used to exhibit my art and craft work at Silverdale and Arnside Art and Craft Trail in the last weekend of June. I don't live in the north west any more so I stopped exhibiting there and I am looking for time and space to exhibit my work in the south. 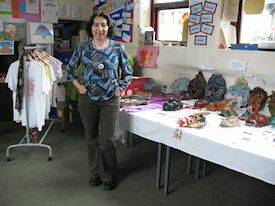 I'm working full time at the moment and most of my free time is dedicated to creative writing, visiting exhibitions and shopping for fun. 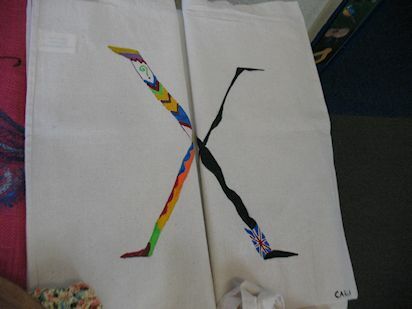 I'll go back to my art work in due course. 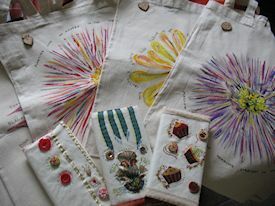 Besides pictures, drawings and art books, I also produce cards, textiles (painting on fabric), crochet and jewellery. 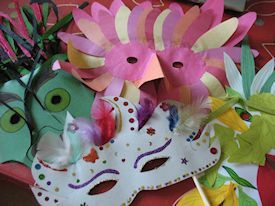 I used to run workshops during the trail (card making, puppet making and mask making) and exhibit my collections (puppets, masks and dolls).